A delicious combination of Cachet's famous dark chocolate infused with zesty orange and crunchy almonds. 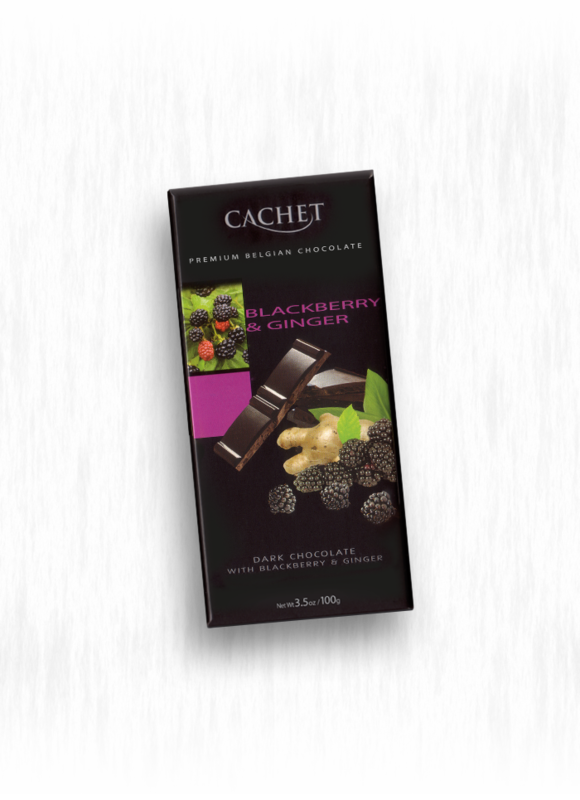 The 57% cocoa content mixes bittersweet chocolate with a fun and fruity essence 3.5 oz. bar. An intensely rewarding experience. 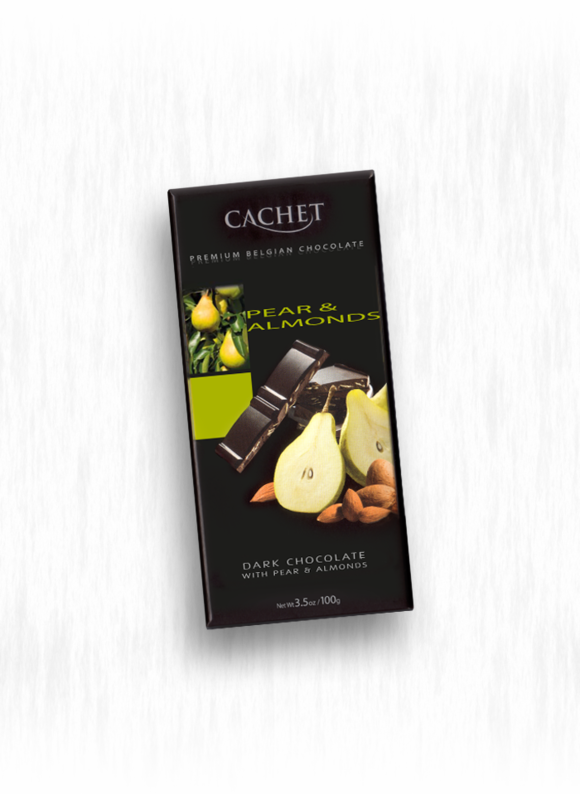 The satisfying nutty crunch of roasted almonds and the subtle inuendo of pear comes together in perfect harmony 3.5 oz. bar. The dynamic duo of blackberry and ginger is a taste bud thunderbolt. Marrying succulent fruit from the West with the tangy tase of ginger from the East, this is a magical Cachet creation. 3.5 oz. bar.